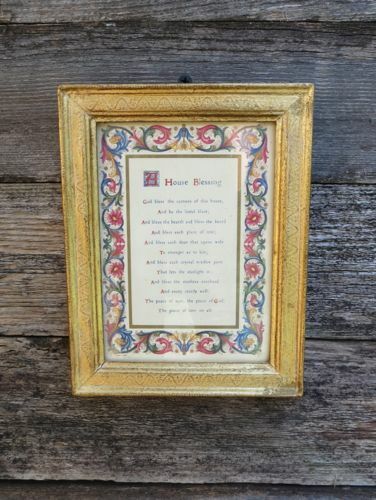 Vintage "A HOUSE BLESSING" litho in gold gilt wood Florentine frame. 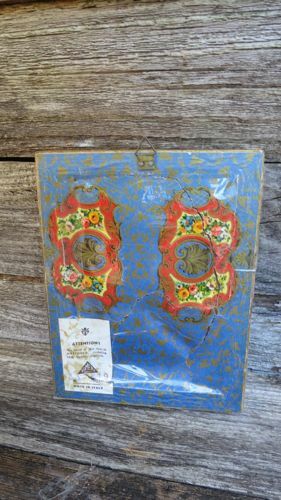 Measures 7-1/4" tall by 5.5" wide, has the hook on the back for hanging. 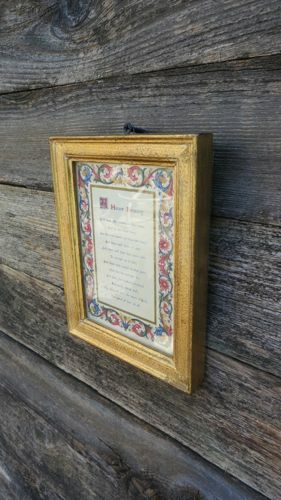 The back of the frame has the original fancy paper backing and Made in Italy label, which has been taped over to keep in place. 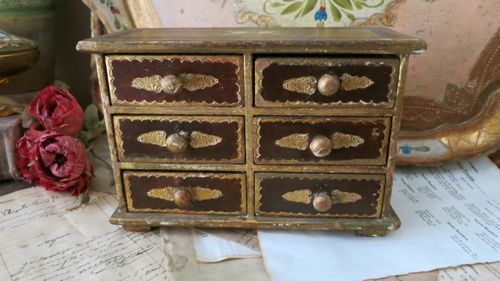 This would make a sweet housewarming gift!